We have been busily working on all our outside projects as I know many of you have also. Seems like we get one marked off our list and another 5 or so gets added. The weather has been cooperating these past few days and we have been able to get quite a few done so I have not been able to work on too many projects that are blog worthy. (Who wants to read about raking, weeding, cleaning up limbs - the boring Spring chores?) I thought I would share a very simple solution to a problem I had with you today - how to display my Boston ferns this year. 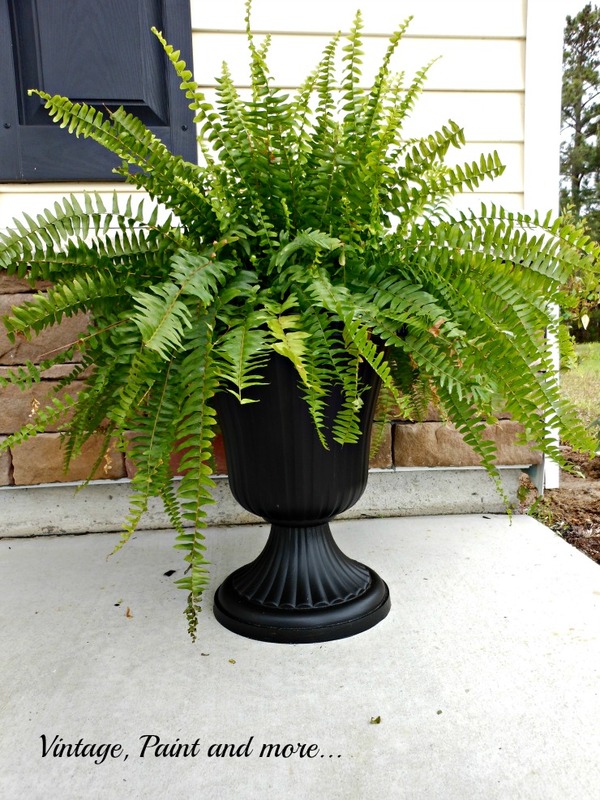 I love Boston ferns and wanted a couple on our front porch but could not find a way I really wanted to display them. I thought about hanging them as most people do but they are hard to reach to water and the wind dries them out much quicker. So I decided I wanted to put them in urns on the porch. But I couldn't find what I was really wanting in my price range. What I did find was two of these plastic urns at the Dollar store. These were really not doing it for me but for $8 each I thought I could probably do a little something to them to make them fit in with our porch decor. So I took them home and gave them a coat of black chalkboard paint. Quite simple. As you can see they look quite different and now fit in with our porch decor. And I think they make the perfect container for a couple of Boston ferns. I also love how they actually frame the porch by placing them on either side of the rocking chairs. So pretty. So for very little money and effort I was able to come up with a solution for displaying our ferns. I love when a plan comes together - how bout you? Would love to hear about what you have been up to lately. Tell me about it in the comments below. If you want to make sure you don't miss anything be sure and sign up for my emails in the Hello bar at the top of the page. The ferns look perfect in the urns, like they belong there! Very nice Cathy. I think I'll check my local Dollar store and see if I can find a few. Great idea. 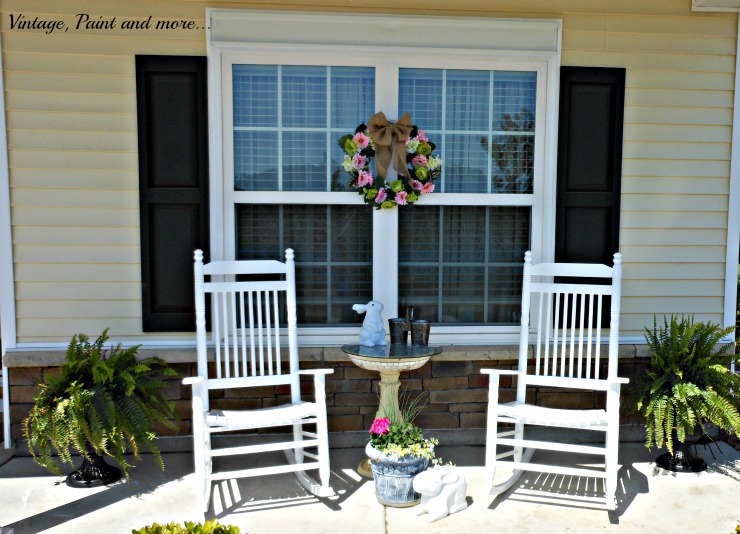 These are lovely and your porch is stunning! The painting project I could do - but my thumb is not green enough to grow Boston ferns. You have however, given me an idea for the flowers I typically plant, as they would look lovely in containers of this type as well. Headed to the dollar store this week! 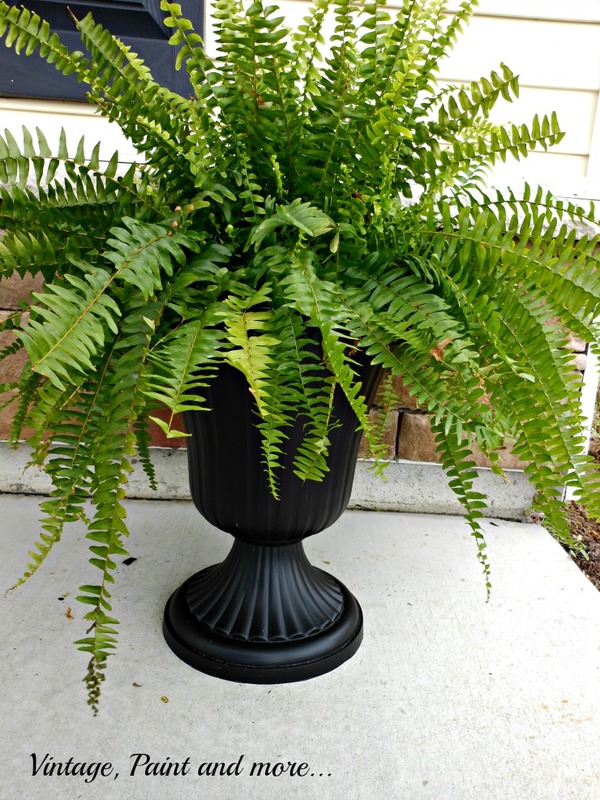 I love Boston ferns, but have not had one for years. I need to buy one this week. Hi! Visiting from Motivational Monday. I like this idea. I usually hang my ferns, but I'm gonna try this too! Beautiful Cathy! 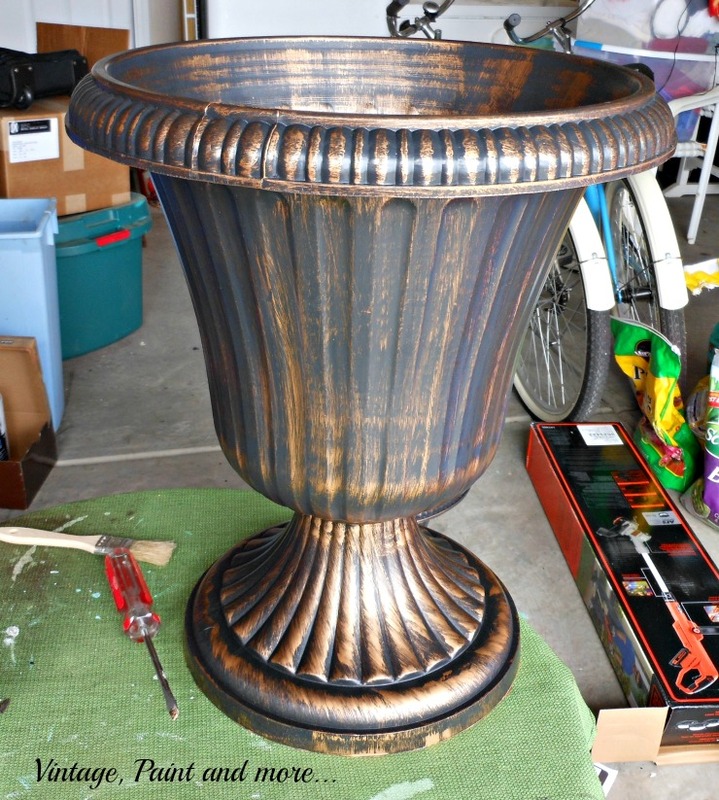 I picked up a couple of cheap urns at a yard sale a few years ago. I painted them to resemble concrete and still love them. Filled with Pansies right now, but I love the look of your ferns! Thanks for sharing with SYC. Thanks so much for stopping by to visit and for your kind words! !